Part of the 819-hectare Fuyot Springs National Park, bordering the town of Tumauini, Ilagan Sanctuary is a nature park located in the foothills of the Sierra Madre mountain range in Barangay Santa Victoria, Ilagan City in the province of Isabela. 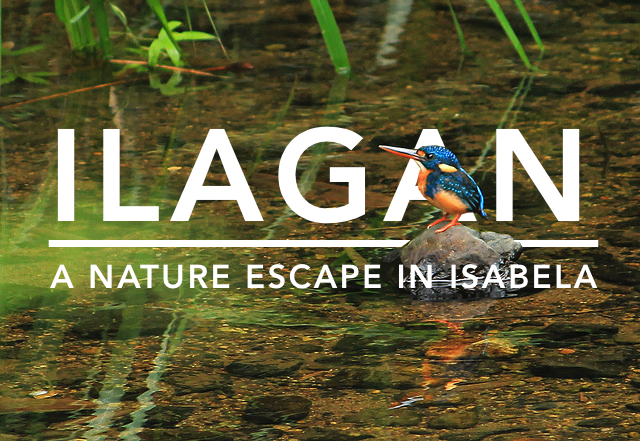 This accessible reserve makes for a quick nature escape, if you happen to pass by Ilagan City on a roadtrip to or from Tuguegarao, for example. Among the natural attractions are limestone caves, waterfall hikes, and viewing endemic and exotic animals both captive and wild. This area is included in the buffer zone of the Palanan Wilderness Area, or Northern Sierra Madre Natural Park, hence, there’s a good chance for you to spot unique birds and animals along the trails, especially if there are only a few visitors and you hike quietly in the forest. For those looking for resort-style amenities, the nature park also has swimming pools, ATV rides, and a 350-meter long zipline. However, I think the natural attractions were more worth the visit! River-trekking to the rocky cascades of Pinzal Falls. Honestly speaking, the mini-zoo is quite pitiful with small enclosures, and can be skipped by eco-conscious visitors. Spotting wildlife while hiking to Pinzal Falls was definitely a more rewarding experience, instead of viewing the captive animals. It was short hike into the forest, following a shallow stream. My favorite wildlife encounter was spotting a wild indigo-banded kingfisher (Alcedo cyanopectus) – a species found only in the Philippines – along the water’s edge near the waterfalls. Upon reaching the waterfalls, I couldn’t resist taking a refreshing shower. Besides going on open hiking trails, one can also visit a number of caves within the wildlife sanctuary. There more than 12 limestone caves that comprise the Santa Victoria Caves, with only three of them currently open to visitors: Main Cave, Altar Cave and Adventure Cave. The dry, walk-through caverns are very easy to explore. You can even bring children along. They are known for their unusual rock formations and sparkling rocks. Believed to have been occupied by the nomadic Agta or Dumagat people in the past, they are also of archaeological significance. The junction to Ilagan Sanctuary is located along the National Highway at Brgy. San Andres, 6 km north of the city center of Ilagan. One can ride a northbound bus, van or jeepney and alight at the junction, where tricycles (PHP 150 roundtrip, with waiting time) can be hired to take you to Ilagan Sanctuary (entrance fee: PHP 50, inclusive of use of the swimming pools) in Brgy. Santa Victoria. Budget accommodations are available at the city center or centro of Ilagan. I stayed at no-frills and slightly rundown D’ Infinity Hotel at 24-A Paguirigan St, near the Mormon church. Rooms start at PHP 500. Tel. no. +63 78 622 3848. There are more options for accommodation in the bigger cities of Cauayan and Santiago. Find discounted rooms in these cities here. Yeah. It is a great place but i do not understand why we cannot bring our wheels inside while others can. they even park thier wheels Near the pool with a guard. somebody lean on the wheels and i found out the the owner is from ilagan. Is there a discrimination in that place that they can not follow the rules? I also heard the guard said that sorry sir turista kasi. The owner said that parang yinurakan mo na rin ang mukha ko. Walang hiyang puta yan. If only the owner put a sign and symbol saying that please do not lean or sit on my car then nobody will. He got angry and said nasty words to the lady. he is not even following rules. Bring his car or parkinh it is not allowed that is thier rules and regulations said by the guard from the entrance. I just do not know if they are just being bias. I’m sorry to hear about your bad experience. I hope they will implement their rules fairly for all visitors, where they’re from Ilagan or not. Hi, how many hours of tricycle ride from junction to Santuary, can you complete the 3 caves in 2 hours including the Falls? If I remember correctly, it was less than 30 minutes from the junction. Allot 3-4 hours for the caves and falls. Is there available guides in the sunctuary? Yes, there was a man who offered his services as a guide when I arrived at the park. How much was the fee that time? Thank you! its nice,we enjoy the trip together with my teacher and classmates last february 13-14,2016.its amazing to ride in a zip line and cable cart but i remember,one of my classmate cried-out because she had a trauma in riding a zip line.at the end all of us enjoyed the trip. Hi Martha! Haven’t tried the zipline there yet! Poor friend. Was it too high or too fast?